1.The surface is smooth、crease proof、No deformation and the hardness can reached to national standards after stiffening process. 2.The Joint position is smooth、strong、beautiful and not easy to be trampled. 3.Manufactured with high quality's wood and aluminum alloy,unique design with high processing customized order according to your sample. 5.Fastness,foldable,light and handy,move freely and state-of-the-art Visual Effects is our best characteritic. 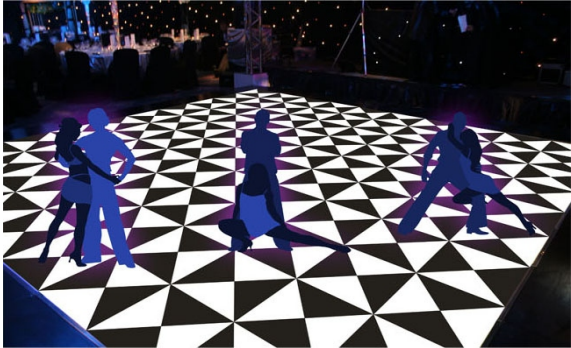 1.RK Plastic Dance Floor with PVC material polished surface,has a varety of sizes and colors. Black, white, or other color you like. 2.Widely used for event,party,wedding,any indoor or outdoor entertainment. 5.Most specially of RK Dance Floor is the Inter Lock System.The connector can be assembled on the back side of the panel. 7.The Frame Edge light weight,non-silp aluminum. Silver or gold color is available. Usage :Wedding ,Stage ,Trade Show,Eents, Party, Scholl,Hotel,etc. All floor plate flat, no wrinkle, no deformation. Material is high quality prastic and aluminum alloy, unique design, excellent precision and assemble technology. 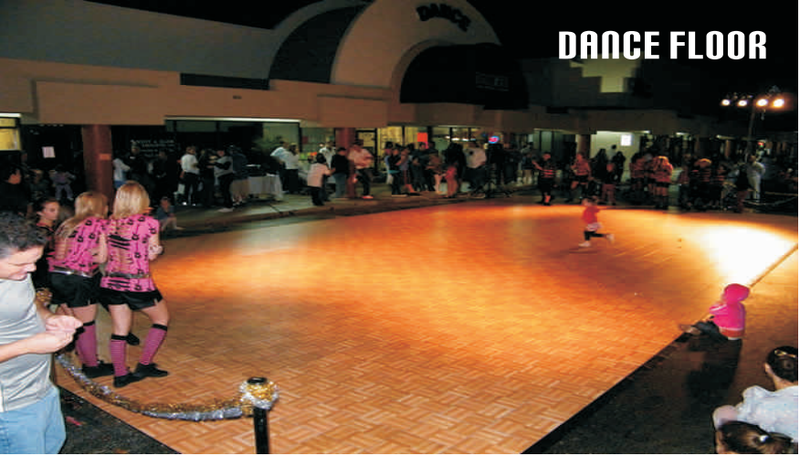 Dance Floor specifications and outsourcing fabrics have many choice. Structure tightness and solid. As it is foldable and lightweight, it is easily to move. 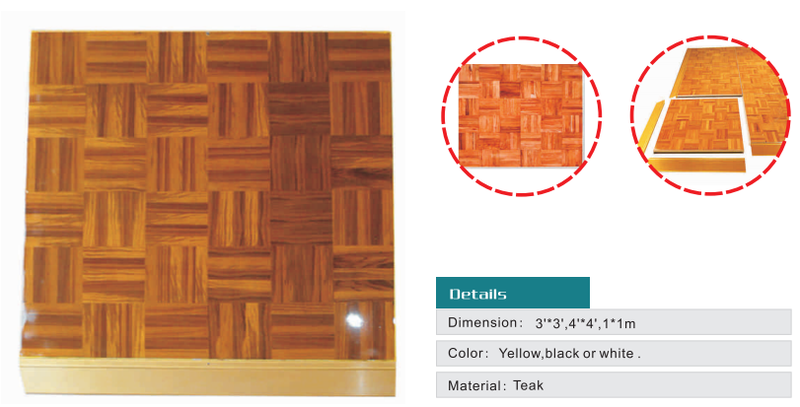 RK Wood Grain Dance material is high quality wood and aluminum alloy. Durable and rust resistant. Modular system make it easy to install, can be assembled in minutes. Black, white,and walnut color can be chose.